Your inner good girl could use some vixen. If this simultaneously shocks you, but also give you a bit of a thrill, you’re in the right place and could use a little side of vixen. Was the lesson we learned from the movie Grease? You know the classic story? If not you have to watch it immediately and report back. It goes something like this, “Good Girl Sandra Dee” has an innocent summer beach romance with Danny. They’re torn apart at summer’s end as she's to return to Sydney. In an odd twist of fate, Sandy ends up staying and randomly shows up at the same high school as Danny. This nice girl’s shocked to learn that Danny’s the school "bad boy," as he had played it cool and “nice,” to win her over that summer. Sandy’s a people-pleasing virtuous type of good girl. Of course, she ends up getting walked over and feeling like a doormat. She realizes this approach to life's getting her nowhere fast and overnight she transforms into a wild-haired, red lipstick clad, black leather moto jacket wearing, spandex-slithering, high-heeled, smoking hot vixen and immediately gets all the RESPECT she longed for, and interestingly enough the guy. Ditching the "good girl" is not about becoming a "bad girl" necessarily, but getting your value from within. Unlike the movie version, you don’t have to become a “bad girl,” to ditch your “good girl” ways, although it could be fun if that’s your thing. I love red lipstick and leather moto jackets. What's your thing? I do think Sandy's story has a valuable lesson to strike a balance between embracing niceness AND your “inner bitchiness.” As a feminist, I say “inner bitchiness” here purely for emphasis. Regardless, you need to check your knowledge about what it means to be stuck toting around town any heavy loaded Louis Vuitton baggage of the people pleaser syndrome type. 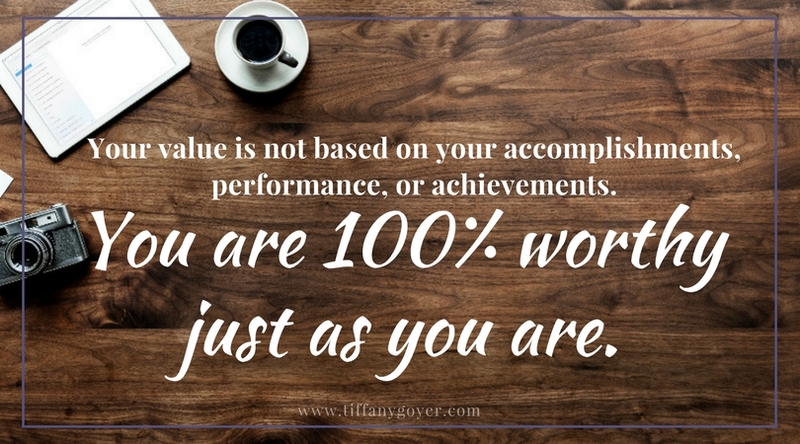 Your value is not based on your accomplishments, performance, approval, or achievements. You’ve got that wrong, your value is never at question. You are 100% worthy just as you are. So, answer the following questions. And If any of this sounds like you, you will know, and we are off to a good start. You first need awareness before you decide you can or want to change something. 1. Over-scheduled, exhausted, and burned out taking care of others? 2. Nervous when you have to say no and have trouble setting limits because you might appear mean? 3. Seeking approval and desiring to do things right in order to be liked by others? 4. Pre-occupied by what people think? 5. Strongly fearful of rejection and abandonment? 6. Trapped in relationships where you give more than you get? 7. Neglectful of your own needs, wants and desires? 8. Overworked because of an overdeveloped sense of responsibility? Now, I want you to reread the list. Even if you answered no to some of the questions, I want you to stretch your imagination and find at least one piece of evidence for each question where this shows up in your life. As people pleasers and good girls, we’re often shocked to find the nooks and crannies of our minds where these tendencies like to hang out. Lydia, a recovered people pleaser was shocked to realize that although she was not actively seeking approval anymore from everyone in her life to feel valued and worthy, this painful tendency reared its ugly head whenever she felt disapproval coming from her husband. Her need for approval was showing up in this one relationship, the one with her husband. She’s for sure a confident woman, but his questioning her, triggered some old wounds and she ended up questioning her own worth, and her self-confidence took a serious hit. The crazy thing about the need for approval is how much time, energy and dreams it's costing you. Lydia not only lost time engaging in approval seeking tactics that resulted in arguing with her husband, but that also drained her energy and left her feeling sad and fatigued. We worked hard to get her to a place where she could find approval from within, so that she could feel whole and CREATE more time and be twice as productive, without these old unconscious scripts playing in the background of her mind. In turn, she started to excel in her business, the area that she felt stuck in when we first started to work together. So, there you have it some information to help you identify this syndrome in your own life. If you know someone who is struggling with this please pass this along. Next time, I’ll get into what people pleasers are good at. These are some skills that are pretty valuable actually. But any strength overused can become a detriment. If you are suffering with this in your life, please know that you are so not alone. So many women are. I’m on a mission to help'em though. Let me know if I can help you find more TIME and CREATE better relationships with this work. Older PostSex & The City vs. Fear & Anger?